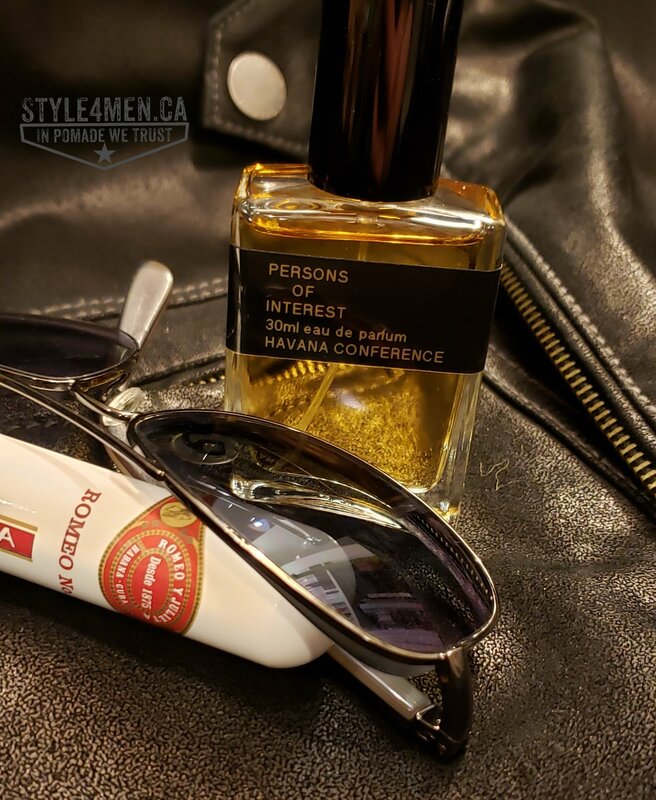 Our friends at the Crown Shaving Co. have recently expanded their fragrance product offering by adding a new fragrance line called “Persons of Interest“. The cologne is called “Havana Conference“. In the below video I am doing an unboxing and a first test of the said fragrance. In simple terms, it is a very pleasant combination of aromas. The “Havana Conference” name is supported by some clear elements of sweet rum. I also detected perhaps some wood (sandalwood) and tobacco. The other nose in my life identified vanilla and something citrus like lemon. It is certainly an elegant and old-school arrangement that somehow smells modern. If I buy into the Havana component of the scent I can very easily be transported there and picture myself enjoying a nice glass of rum and a cigar while monitoring the events on the street. Reaching for my white straw fedora and lowering my sun glasses to better see the trouble about to be caused by that pepita walking over to the café. The timing of this new product release is well planned as this sweet and warm fragrance will work well with the summer mood. As I am typing this blog, the aromas are making themselves clearer and are very enjoyable. Thank you Dino for your never ending generosity. It is always with great pleasure that I discover your latest creations.